With smartphones and simple editing apps, video content has taken off in the past few years and the demand is only growing. Animoto reported that four times as many customers would prefer to watch a video about a product than read about it and, in 2017, HubSpot predicted that 80% of online content will be video by 2019. We might just get there; however, aside from being an engaging form of online content, video can help your site’s SEO performance as well. Regardless of the technical tricks you perform on your website, your search engine rank will always stem from the quality of your content. Google has been transparent in their promotion of valuable content because it is so obviously aligned with the core objective of the business: to provide a positive user experience. This includes the efficiency of the platform in returning relevant and useful results to each search query. So, in this respect, sites with engaging content will continually rank higher in the long term than sites with ‘vanilla’ content. To succeed in SEO, you need to create content specifically for your readership, providing the information they want, need and find beneficial. What we have learned in the past few years is that video has become the most consumable form of online content. Forrester Research has stated that one minute of video is worth 1.8 million words. Imagine how long it would take to read 1.8 million words (let alone write them). In our fast-paced lifestyle, it’s no wonder consumers have turned to video for a quick, efficient and stimulating content fix. With those statistics in mind, it’s a no-brainer that video content is a must for your business in 2018 and beyond. 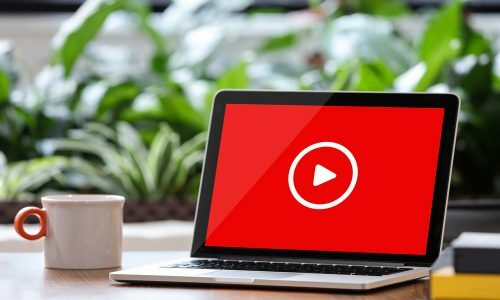 Google has even backed this up with their algorithm, as it now “favours video content that is optimised (correctly) over any other form of content.” This means that, if there is a video result for a search query, it will be displayed front and centre at the top of the search engine results page. While ranking on YouTube itself can be beneficial to your brand, your YouTube videos can also bump up your organic search rankings on Google. Forrester Research found that web pages with embedded video are 53 times more likely to rank on the first page of Google. So, what does that actually mean? Let’s break it down. Increasing traffic is one of the primary goals when you have a website. The more people visit your site, the more opportunities you have to convert them. Videos, even when hosted externally on sites like YouTube, Vimeo and Facebook, are more likely to get consumers engaging with your brand. Pairing these videos with a link back to your website will increase your click-through rate. Your click-through rates tell you how many people follow a hyperlink through to your site. How long someone spends on your site gives Google an indication of whether or not the content on your page satisfies the searcher’s query. The search engine’s goal is to find the content they are looking for as quickly and efficiently as possible. When someone clicks through to your site and immediately returns back to the search engine results page, it’s called a bounce. The aim is to keep your bounce rate as low as possible. A high bounce rate indicates to Google that your site is not satisfying the search query and, as a result, your rankings will likely drop. If you have a high number of visitors click through, yet few of them stay on the page, you have will end up with a high bounce rate. To reduce your bounce rate, you can use video to immediately capture the viewer’s attention and prolong the duration of their visit to your site. Backlinks make up a big part of your SEO. A backlink is any link made from another website back to yours. Each site holds its own authority in Google’s eyes. Reputable sites, like government-run pages and long-established websites hold high authority, whereas sites that don’t see much traffic or have had issues with security in the past will hold a much lower authority. The higher the authority of the site that links to yours, the more “link juice” you get and the higher up the search engine results pages your site will go. Due to the current content trends, if you have a great video on your site, it’s more likely to inspire backlinks than regular text articles. And the more quality backlinks you have, the better your SEO. If video is the future, the future is right now. Disregarding the serious trend in video content will not only eliminate your opportunities to engage consumers, it limits your SEO capacity. To find out more about how video can help you improve your SEO efforts, get in touch with an Online Solutions Advisor today.